GOING ON ADVENTURES: Is it possible to make flying fun again? Higher fares, smaller seats, delayed flights, lost luggage. We’ve experienced all of these during the last six months of our travels. Is it any wonder we consider flying the most challenging part of travel? 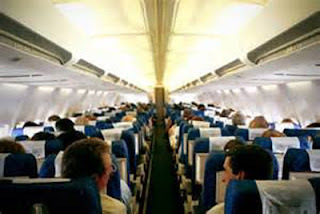 More passengers step onboard airplanes every year. Of course, we don’t plan to stop going places and exploring our big wonderful world, so we just deal with those inconveniences as best we can. Understanding what is happening regarding air travel might help make your trip a little less stressful. It won’t be more fun, but at least you won’t feel sabotaged. Compared to 1975, prices for flights are 35 % higher, and today the fare is just the starting point. Extra charges may come from your chosen seat assignments, change fees, and checked bags—all of which add a sizeable margin to the airlines’ profit. bottom line of most airlines. Don't expect those to go away. The current recommendation is to buy tickets 54 days prior to your flight. If you’re planning a vacation at specific dates, that’s probably doable, but change fees can be expensive—up to $200 on domestic flights and more for international. Purchasing insurance may be a wise move. Depending on where you’re going, booking anywhere from 25-105 days ahead is reasonable—shorter lead times for domestic flights and longer margins for international or remote destinations. Booking well in advance also helps ensure family members can get seats together. Purchasing preferred seats might help keep mom with the kids during busy times, but that can add lots of bucks to the stated fee. Baggage fees are rising, too. In 2013 U.S. airlines made $3.35 billion from checked bag fees, which average $25 each way. The easiest way to avoid spending an extra $50 or more per trip is to get a credit card from your preferred airline. For domestic flights, being a card-holder allows one checked bag per person on the reservation. 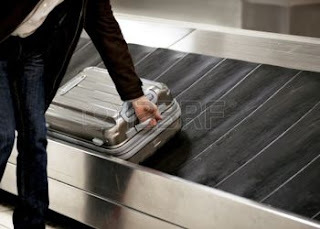 For international flights, one checked bag is generally allowed for all passengers (be aware that Canada and Mexico may not be treated like international destinations). Make sure your carryon bag is the appropriate size or you may be asked to check it anyway. 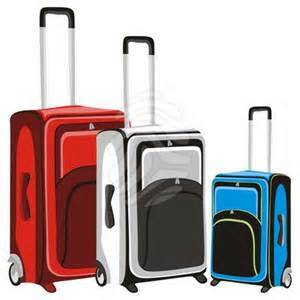 Speaking of luggage, carryon size for most domestic flights is 22 inches, although international airlines may limit bags to 21 inches. Delta, American, and United seem to be the most restrictive, while Jet Blue, Alaska, and Southwest are less so. However, change is in the air even for so-called budget airlines, so be sure to check on what’s allowed before packing. When you squeeze into an economy seat and feel there’s no place for your elbows and knees, it’s not your imagination that seats are getting smaller. The seat pitch (space between rows) has decreased from 34 inches to 29 or 30 inches. Not only are seats shrinking but the padding also seems to be getting skimpier. Comfort of passengers has given way to making money by inserting more seats into planes, and that trend doesn't show any signs of abating. To avoid delays, fly early in the day, especially if leaving from the east coast. Delays increase from morning to evening and from east to west. When you purchase a ticket online at the airline site, the on-time percentage of each flight is listed. Not surprisingly, this can vary by the hour. Allow enough time for any changes to your flight. Check in early. You’ll generally get an email reminder 24 hours before your flight, and it’s best to check in as soon as possible. Confirm seat assignment to be sure it was recorded correctly and that there hasn’t been a change of plane types with a different seat configuration. 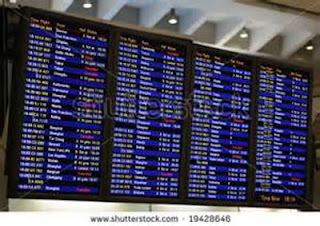 If a flight is overbooked and not enough passengers volunteer to take a later flight, the last ones checked in will be the first ones bumped involuntarily, if that becomes necessary. 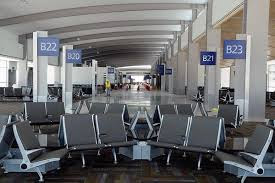 Since U.S. airlines sold a record 87.8 percent of seats in July 2014 (not counting airline employees who fly for free), that means virtually every seat is occupied. Overbooking is not uncommon these days. Find a spot to relax in the terminal before your flight. Arrive early for your flight, too, so you can keep up with any gate or departure time changes. It never hurts to ask about an upgrade since seats sometimes open up at the last minute. If that happens, you may have a surprisingly enjoyable flight. Photos from free online sites.